Photos! The Walls of Jerusalem Cry Out to Pres. 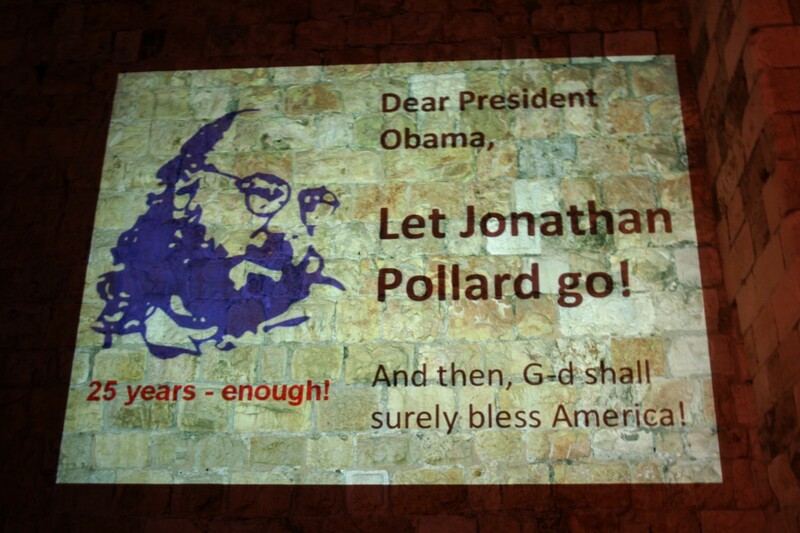 Obama: Free Pollard Now! 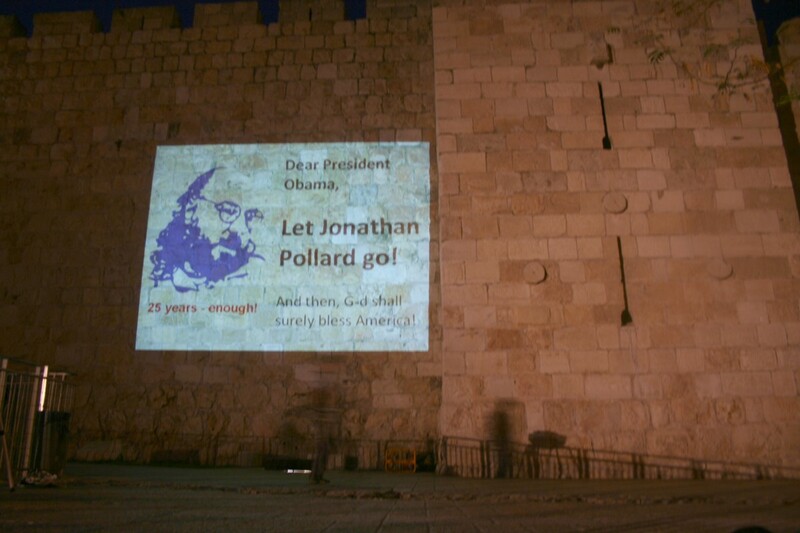 Last night as a gesture of solidarity with Jonathan Pollard, who marked his 9,000th day in prison this week, a message to the President of the United States was screened upon the Walls of The Old City of Jerusalem in several projections. 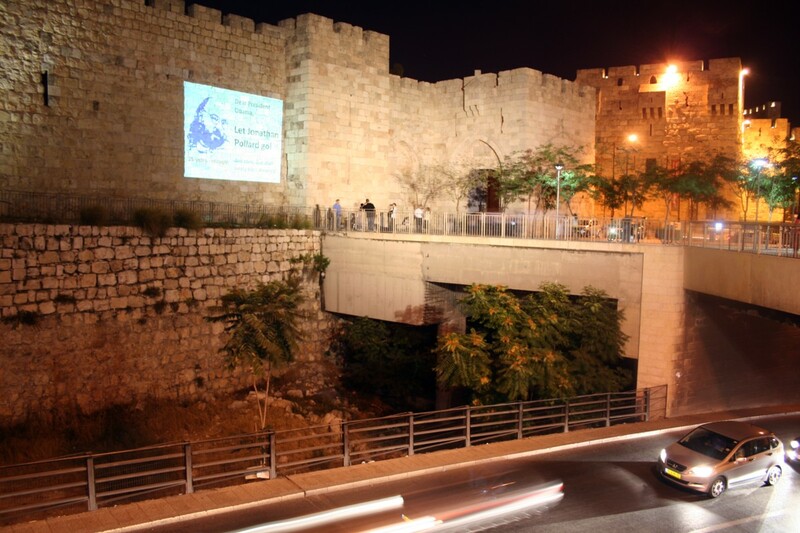 Photos of the projections are attached and may be reprinted with photo credit to Hillel Maeir. And then, G-d shall surely bless America!